In the late 1960s and early 1970s, psychologist and Stanford professor Walter Mischel conducted a series of studies that would change the way we understand how children perceive the world and the implications it has for long term success. 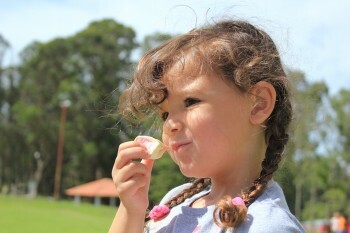 In what is now known as the Stanford Marshmallow Test, a child was offered a choice between one small reward (one marshmallow) provided immediately or two small rewards (two marshmallows) if they waited for a short period, approximately 15 minutes, during which the tester left the room and then returned. The idea was to test if children’s ability to delay gratification would correlate with other important measures of success, such as better life outcomes, SAT scores, educational attainment, and body mass index. If you are familiar with the marshmallow test, you likely know the results. The ability to delay gratification, or exhibit self-control in the face of temptation, is a pivotal executive functioning skill that correlates with almost every measure of life success. 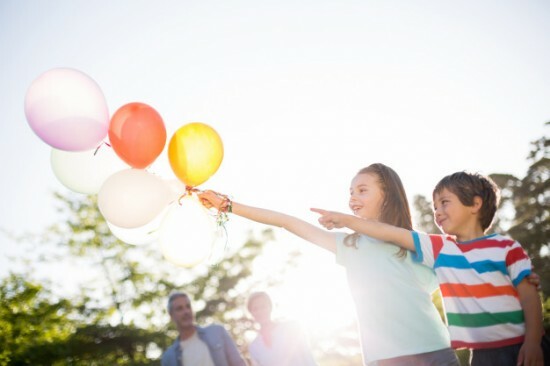 In follow-up studies, Mischel and his team found that children who were able to wait longer for the preferred rewards tended to have better life outcomes, as measured by SAT scores (Mischel et al., 1989) educational attainment (Ayduk et al., 2000), body mass index (BMI) (Schlam et al., 2013) and other life measures (Schoda et al., 2011). Since then, Mischel’s results have been replicated numerous times and the ability to delay gratification and exhibit self-control has emerged as a key skill that forms the basis of executive functioning. Children who can exhibit self-control have better learning outcomes, less behavioral problems, better social skills, and less adjustment difficulties. But while it may be clear how we test the ability to delay gratification, how do you teach executive functioning? Research has shown that not only are there clear signs of executive functioning deficits, but twelve identifiable executive functioning skills. Moreover, there are clear, evidence based strategies that therapists can use to help children improve these skills, learn to listen better, and even utilize technology to improve overall executive functioning. Self-efficacy is a belief about what a person can do and how well he or she can do it. Self-efficacy is a multidimensional construct and is possibly the most central mechanism of human agency—the ability to influence intentionally one’s functioning and life circumstances. It determines how environmental opportunities and impediments are perceived and therefore influences peoples’ goals, values, and behavior. A resilient child is able to influence the environment in which he lives. This is part of self-efficacy, and it can be accomplished by seeking ways in which to foster a child’s independence and encourage his autonomy. Giving children choices hands some control over to the child without compromising the adult’s authority – a win/win situation. Implicit in the choice is the fact that the child needs to fulfill the task, but gets to choose how it will be accomplished. Giving choices can diffuse conflict and allow children to assert their independence in a healthy way. It exercises their brains by making them think and solve problems. 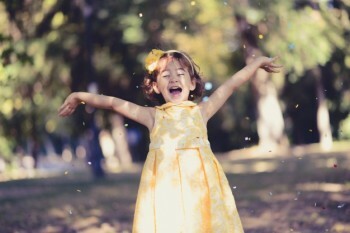 It is an extremely effective technique to use with independent, defiant children and toddlers. Parents and clinicians want to challenge their children within their abilities. We can point out to children their accomplishments. Play is an integral part of building resilience in children. It could be argued that active play is so central to child development that it should be included in the very definition of childhood. Play offers more than cherished memories of growing up; it allows children to develop creativity and imagination while developing physical, cognitive, and emotional strengths. 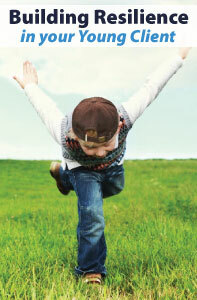 …..Play is a natural tool that children can and should use to build their resilience. At its core, the development of resilience is about learning to overcome challenges and adversity…. 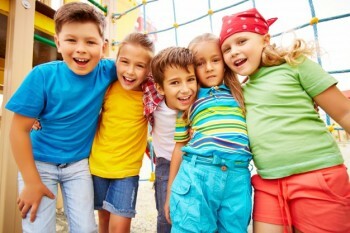 children learn to deal with social challenges and navigate peer relationships on the playground. In addition, even small children use imaginative play and fantasy to take on their fears and create or explore a world they can master. Play allows them to create fantasy heroes that conquer their deepest fears. It allows them to practice adult roles, sometimes while playing with other children and sometimes while play-acting with adults. Sensitive adults can observe this play and recognize the fears and fantasies that need to be addressed; however, in many cases, play itself helps children meet their own needs. As they experience mastery of the world they create, children develop new competencies that lead to enhanced confidence and the resilience they need to address future challenges. 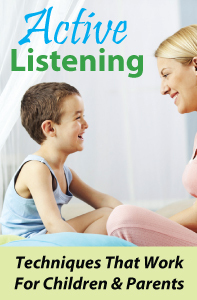 Telling a child that something is easy often leads to a double-edged discouragement. If he completes the tasks, then he merely did something “easy” and it is not much of an accomplishment. If he can’t succeed, then he has failed at something that should have been easy. If we show respect for a child’s struggle and say “this can be hard,” or “it is not so simple,” then we send him the message that if he does succeed it is a meaningful accomplishment. If he fails, at least he knows he made the effort on a difficult task. Instead of disregarding children’s fears and hesitancy, acknowledge the child’s timetable. Instead of rushing to answer questions, encourage the child to think of her own answers. 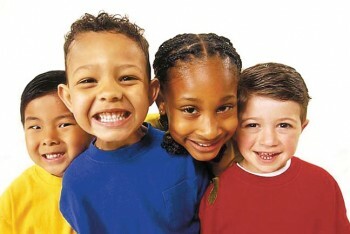 Children often use questions to initiate verbal interactions. They may have already thought about the answers, and get bored when we answer their questions too soon. Children love to dream. It is one of the greatest pleasures of childhood. They need adults with a listening ear. This helps gain our client’s trust and helps create and maintain strong client relationships. Hopes and dreams are a great topic for a language lesson. Adults need to let children make mistakes and learn from them. We need to watch them struggle with and settle their own problems. We also need to let them do as much as they can for themselves. Treat children responsibly so they can function on their own. One important life skill is learning to recognize our mistakes, repair them and grow from them. Parents often fear allowing their children to move forward in life and make mistakes. We want to protect them. However, children who are not allowed to make mistakes can become fearful of making the smallest decisions, may be hesitant to solve problems and afraid to try new experiences. We want to promote resilience in our children. Resilient children make mistakes, get up, brush themselves off, and move on. Teaching kids to persevere and keep trying when the going gets tough is an important factor in promoting resilience. The ability to keep trying when we don’t succeed aids us in developing solution-oriented thinking patterns. We all know stories of successful people who failed many times before reaching their goals. Making mistakes and using them as opportunities is an essential part of learning how to cope, grow and finally succeed. It is important to teach children that to achieve expertise in any area it takes many little steps and a lot of practice. When children are having trouble with any given task it is crucial that we encourage them to keep on trying. When a baby is learning to walk we clap and smile for each step that they take, no matter if they fall. We need to have the same attitude when our children learn to pour milk and spill, do a puzzle and get frustrated, start a homework task and find themselves overwhelmed. Today, bullying is a national epidemic causing significant concern for parents and caregivers. 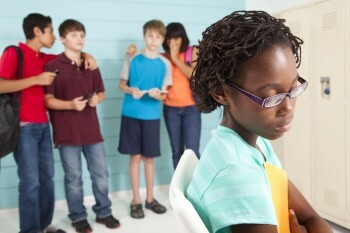 Approximately one in three kids are bullied in hallways, classrooms and during school related activities each year. Media reports show widespread examples of victimization suffered by kids of all ages and ability levels. More troubling – students living with autism spectrum disorder are 63 percent more likely to be recipients of bullying behavior than typically developing peers. All children, regardless of ability, deserve to learn in a safe and nurturing environment where positive relationships are cultivated. Kids have a right to feel cared for and protected in school. Adults are in no way immune to the problem. One in six has experienced bullying behavior in the workplace according to one report. Fear of income loss discourages individuals from reporting incidences or intervening on behalf of victims. With employment opportunities at a premium in the disability community, people with special needs are more susceptible to on the job bullying behavior with little to any recourse. Effects are far reaching; violence and intimidation cause harm to victims leaving support systems to cope with the aftermath. Furthermore, increased social media, cell phone and email use continue to alter the bullying landscape. The National Crime Prevention Council reports 43 percent of teens have been cyberbullied by text messaging and social media. Incidents are now documented as they happen. Easy access to cell phones and social media platforms has resulted in viral video clips of horrific bullying incidents. The issue can no longer go ignored. No matter how benign the intent – it is the responsibility of every individual to reject bullying in all its forms. The Autism Society is here to empower individuals on the spectrum, support providers and allies to take a stand against bullying. The 3 R’s for Bullying Prevention: Recognize, Respond and Report and Healing from Bullying for the individual with Autism Spectrum Disorder are two useful resources available to provide insight into the implications of bullying and its residual impact on victims. We are committed to promoting awareness and understanding about the dangers of bullying and helping all affected by autism to combat its existence once and for all. To connect with the organization at the pulse of bullying research and prevention – PACER’s National Bullying Prevention Center – go to pacer.org/bullying. People in need of immediate support and healing from bullying behavior can call our Autism Source Contact Center at 1- 800-3-AUTISM or visit autismsource.org. 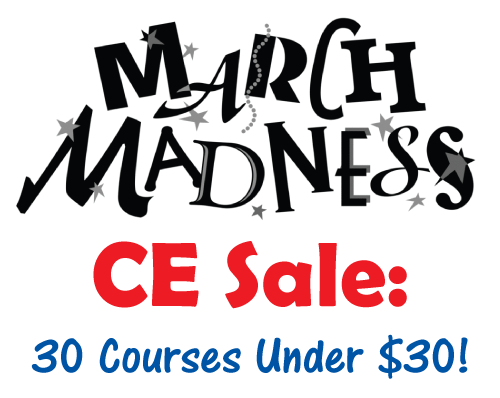 Bullying Prevention: Raising Strong Kids by Responding to Hurtful & Harmful Behavior is a 3-hour video-based continuing education (CE/CEU) course that teaches healthcare professionals how to handle and treat bullying behavior. 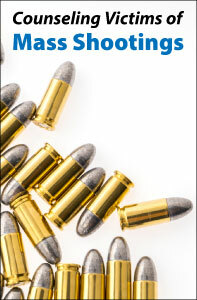 Electronic Media and Youth Violence is a 1-hour online CEU course that summarizes what is known about young people and electronic aggression, provides strategies for addressing the issue with young people, and discusses the implications for school staff, mental health professionals, parents and caregivers. Professional Development Resources is approved by the American Psychological Association (APA) to sponsor continuing education for psychologists. Professional Development Resources maintains responsibility for all programs and content. Professional Development Resources is also approved by the National Board of Certified Counselors (NBCC); the Association of Social Work Boards (ASWB); the American Occupational Therapy Association (AOTA); the American Speech-Language-Hearing Association (ASHA); the Commission on Dietetic Registration (CDR); the Alabama State Board of Occupational Therapy; the Florida Boards of Social Work, Mental Health Counseling and Marriage and Family Therapy, Psychology & School Psychology, Dietetics & Nutrition, Speech-Language Pathology and Audiology, and Occupational Therapy Practice; the Ohio Counselor, Social Worker & MFT Board and Board of Speech-Language Pathology and Audiology; the South Carolina Board of Professional Counselors & MFTs; and by the Texas Board of Examiners of Marriage & Family Therapists and State Board of Social Worker Examiners. As a general principle, it is important to set forth the precise objectives of resiliency training: what do we hope to accomplish? This may be different for different individuals and in different social contexts. I.e., a behavior that is functional and desirable in one context may not be so in another. In addition, it is necessary to take into consideration contextual factors (family attributes, classroom and neighborhood conditions) in addition to individual characteristics. I.e., it is hard to build resilience in a child whose family or school is in chaos or whose neighborhood is not safe. 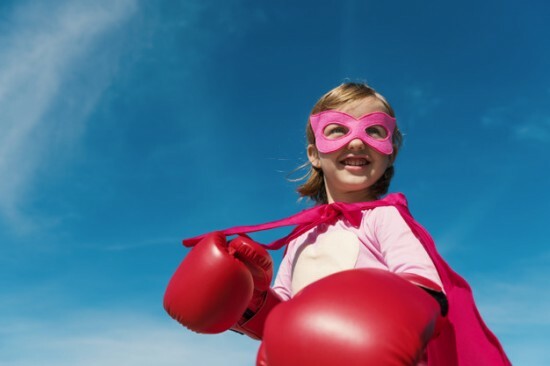 It may not always be clear why some children seem to be more resilient than others and why some respond successfully to resilience training while others do not. There is, for example, a rapidly emerging literature on the role of individual differences in genes, neural plasticity, and brain development in the processes of adaptation before, during, and following traumatic experiences. Such factors will – of course – not be readily obvious or measurable, but they will likely impact efforts at building resiliency. Due to the multidimensional nature of resilience, interventions cutting across behaviors may be the most effective. Furthermore, intervention strategies must be tailored to the student’s developmental level. What is clear at this point is that there will be a wide variety of children facing varying types and degrees of adversity, who will need interventions tailored to their particular abilities and needs. What might be gleaned from the literature on resilience is a list of domains that can and should be addressed in preparing children to deal successfully with the challenges they face. Since resilience is based on strengths and not on deficits, and since resilient abilities are not simply innate, but can be learned and cultivated, we might propose a list of personal and environmental characteristics that can be seen as the building blocks of better functioning for children with developmental difficulties. Where those strengths are present, they can be reinforced and enhanced, and where they are not present, they can be taught. Victimization of young people online has received an increasing level of scrutiny, particularly after a series of high-profile suicides of teenagers who were reportedly bullied on various social networks. In 2013, for example, a spate of suicides was linked to the social network Ask.fm, where users can ask each other questions anonymously. The deaths of teens who had been subject to abuse on the site prompted Ask.fm (which was acquired by Ask.com in 2014) to launch new safety efforts. Twitter, likewise, announced plans in April to filter out abusive tweets and suspend bullying users. Social media use is hugely common among teenagers, said Michele Hamm, a researcher in pediatrics at the University of Alberta, but the health effects of cyberbullying on social media sites is largely unknown. Regular, face-to-face bullying during the teen years may double the risk of depression in adulthood, and bullying’s effects can be as bad or worse than child abuse, studies show. In the new review, Hamm and her colleagues combed through studies on cyberbullying and social media, finding 36 that investigated the effects of cyberbullying on health in teens ages 12 to 18. Although the studies examined different health outcomes and sometimes defined cyberbullying differently, one finding stood out. “There were consistent associations between exposure to cyberbullying and increased likelihood of depression,” Hamm told Live Science. The studies covered a variety of social sites, but Facebook was the most common — between 89 percent and 97.5 percent of the teens who used social media had a Facebook account. Seventeen of the 36 studies analyzed looked at how common cyberbullying was, and the researchers found that a median of 23 percent of teens reporting being targeted. 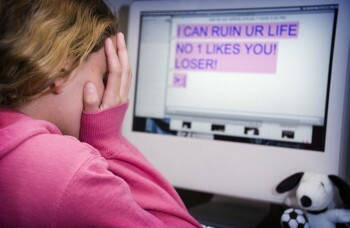 About 15 percent reported bullying someone online themselves. Two studies examined the prevalence of so-called “bully-victims,” meaning teens who both bully others and are bullied. Research on offline bullying shows these kids to be most at-risk for mental health problems. One study found that 5.4 percent of teens were bully-victims, while the other reported a prevalence of 11.2 percent. Despite the well-publicized suicide cases linked to cyberbullying in news reports, Hamm and her colleagues did not find consistent links between being bullied and self-harm across the studies. Nor did they see a consistent link between cyberbullying and anxiety. Some studies found evidence for these links, and others did not. However, Hamm cautioned, the findings don’t mean these links don’t exist. The 36 studies used a variety of definitions and health outcomes, and not enough work has been done to confirm or rule out connections between cyberbullying and anxiety or self-harm. But cyberbullying and depression went hand-in-hand, the researchers reported June 22, 2015 in the journal JAMA Pediatrics. Ten studies examined the link between social media victimization and depression, and all of them found a connection. Follow Stephanie Pappas on Twitter and Google+. Original article on Live Science. Depression: What You Must Know is a 2-hour online continuing education (CE/CEU) course that provides in depth information about the diagnosis and treatment of depression in a simple, straightforward way.